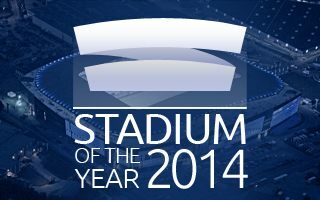 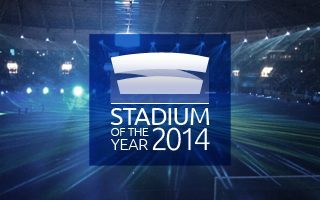 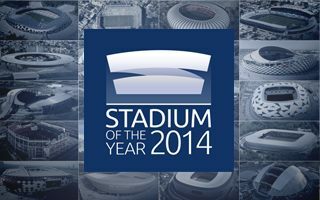 First renderings of this stadium were presented back in 2010. 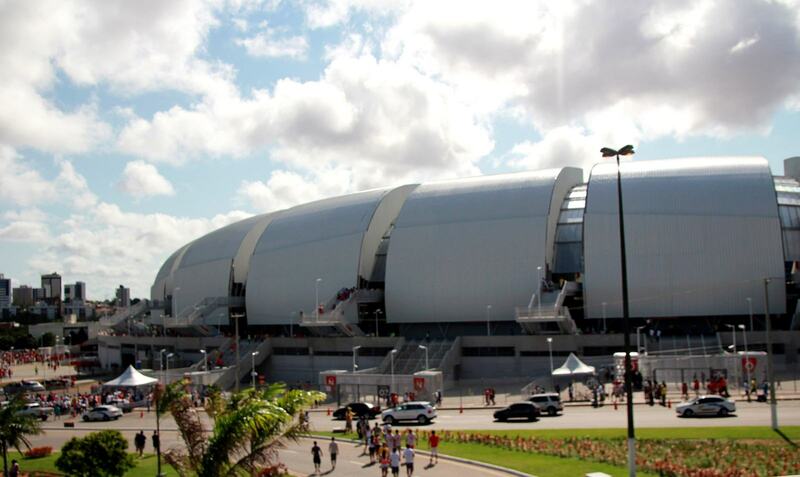 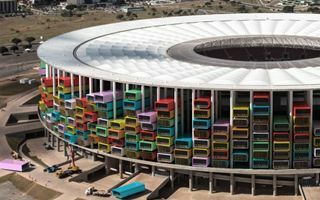 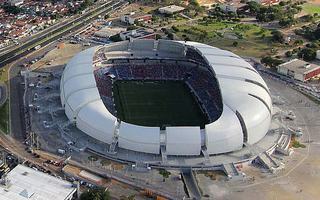 Back then Populous architects were on the job, but detailed project was carried out by Brazilian teams. 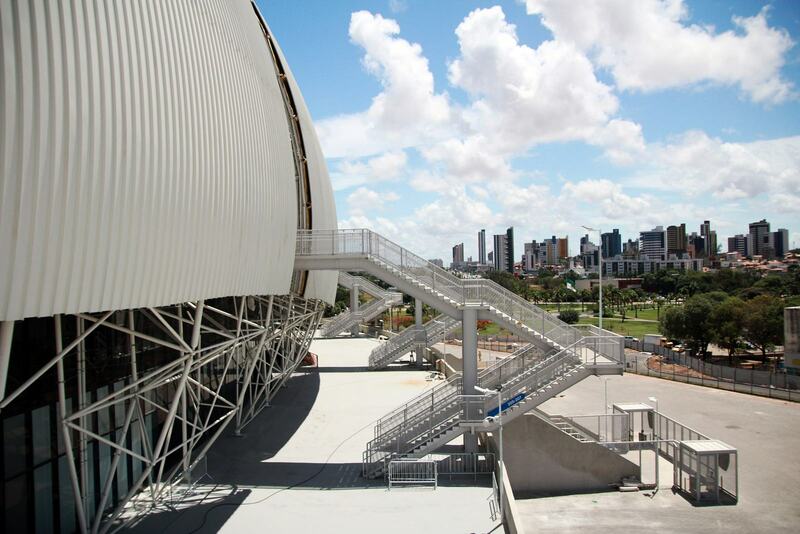 The stadium with light, furrowed outer shell has a distinctive feature with staircases being exposed rather than hidden beneath the stands. 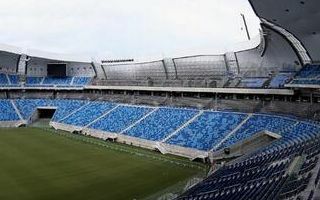 The interior sees two tiers of seating along the pitch, divided by 40 skyboxes, and a single tier without roof on both ends. 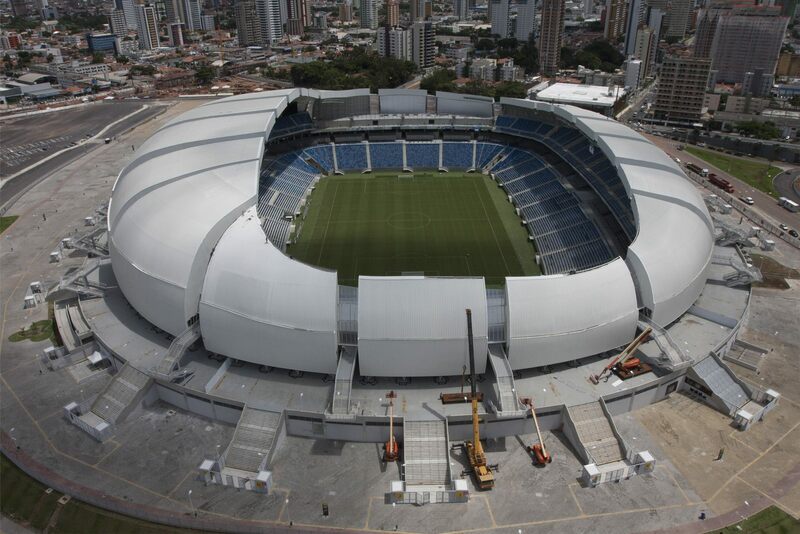 Interestingly, the ends have additional space for temporary expansion, one that gave the stadium some 10,000 additional seats for the 2014 World Cup. 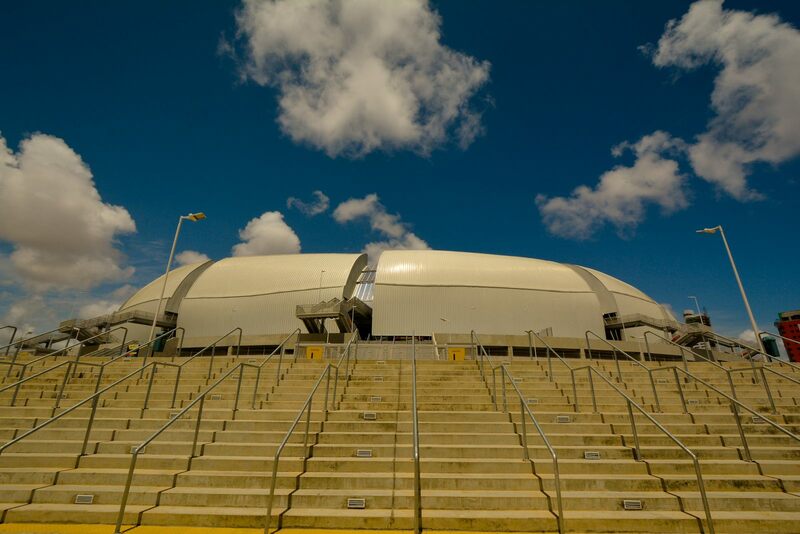 Under the stands a large event hall for up to 4,000 people is located. 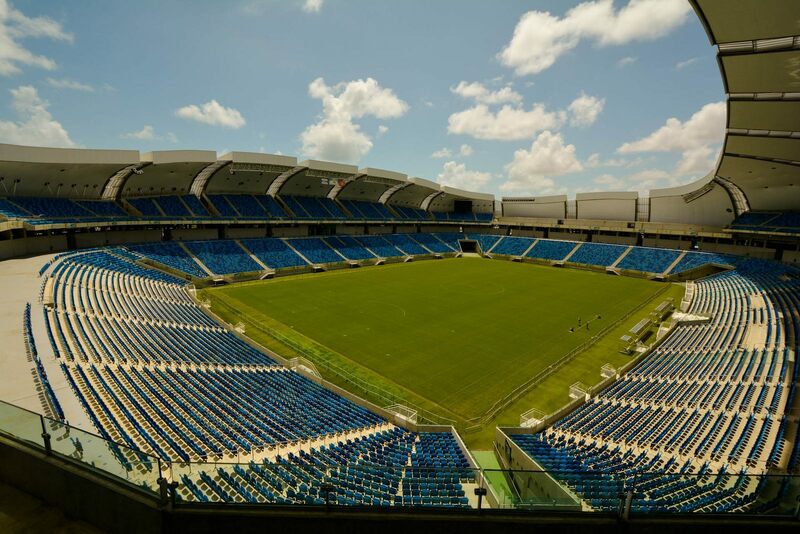 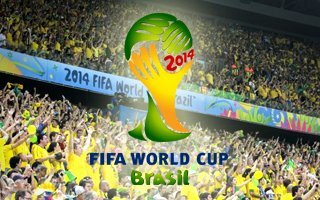 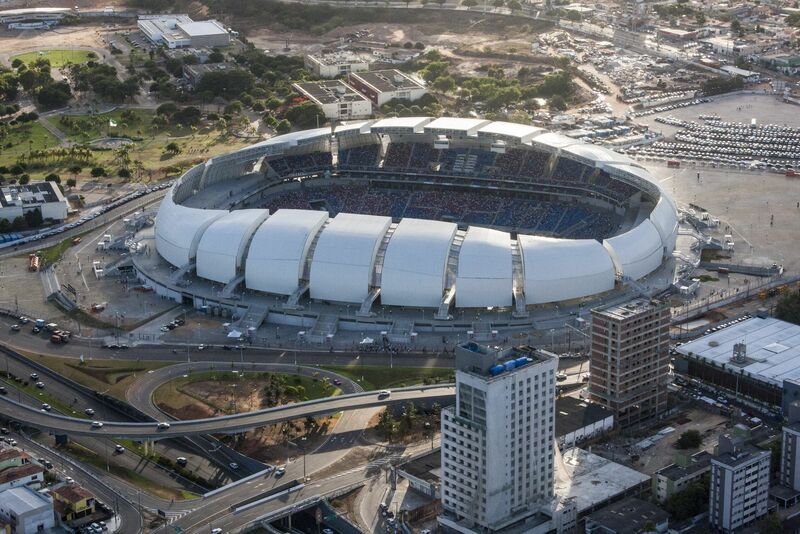 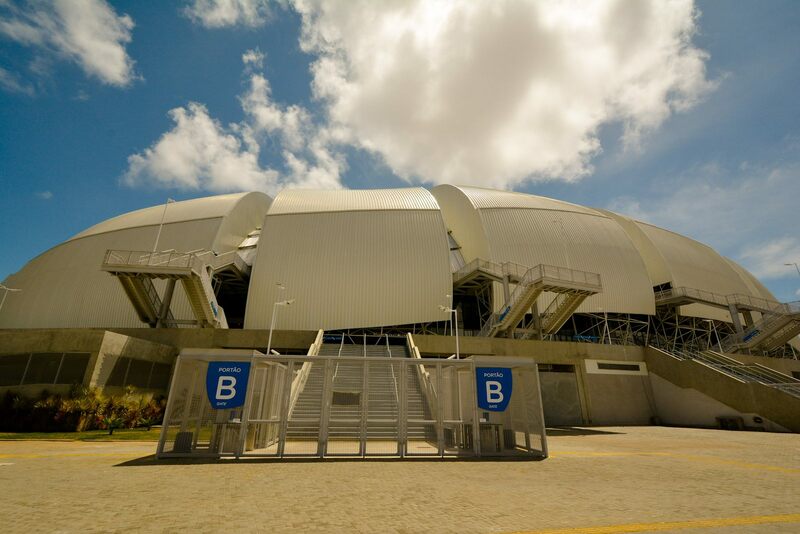 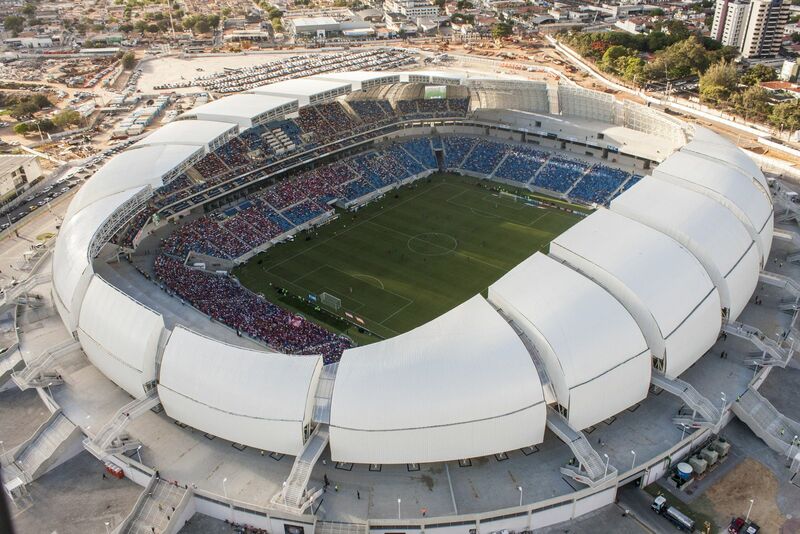 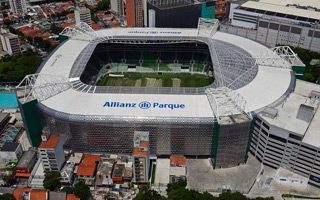 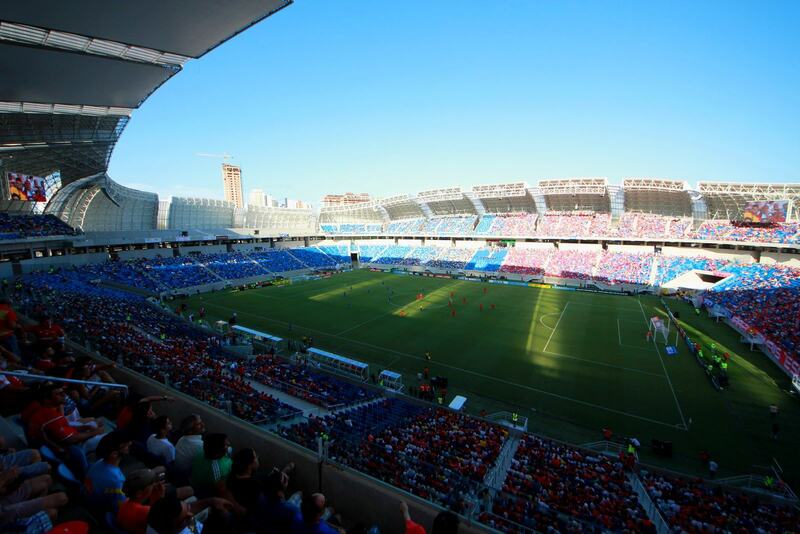 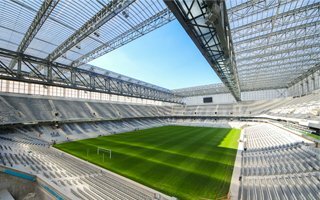 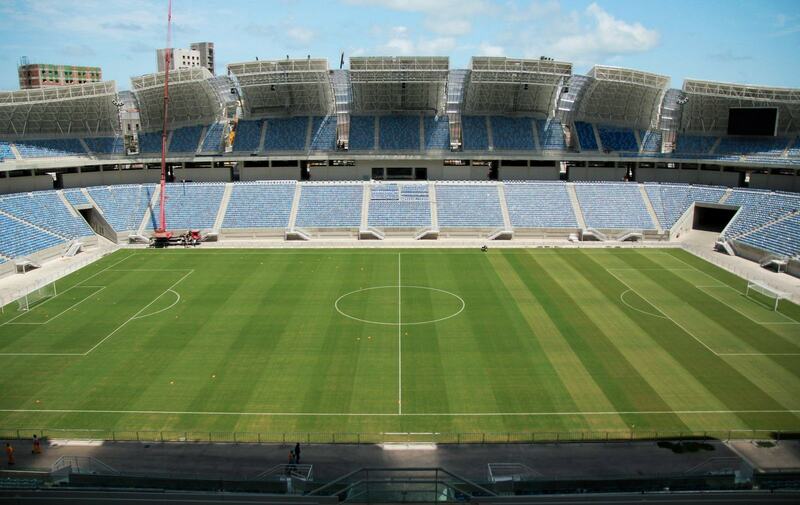 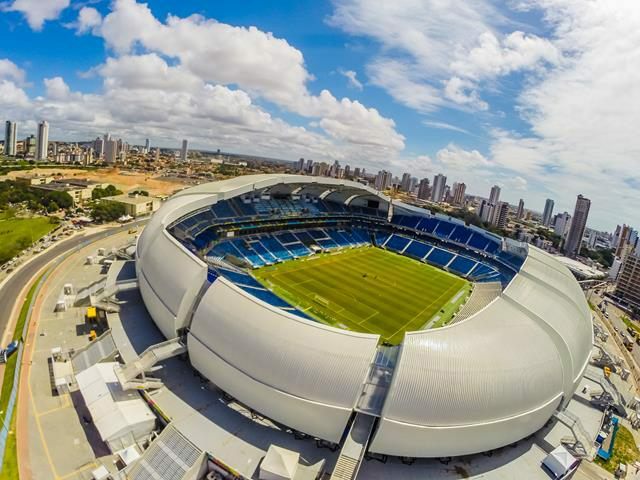 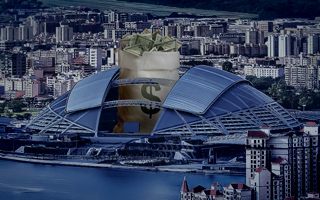 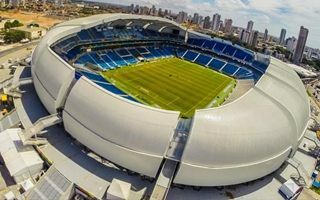 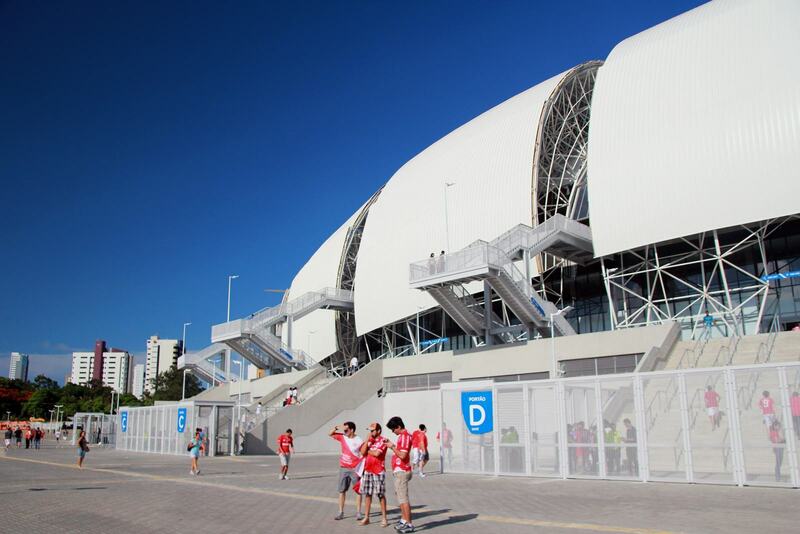 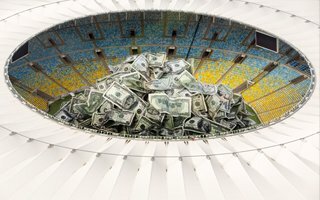 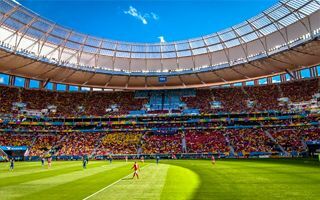 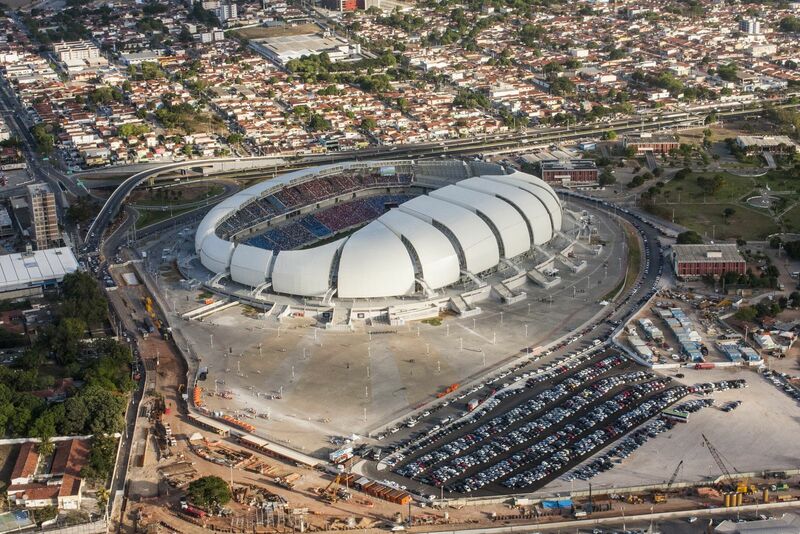 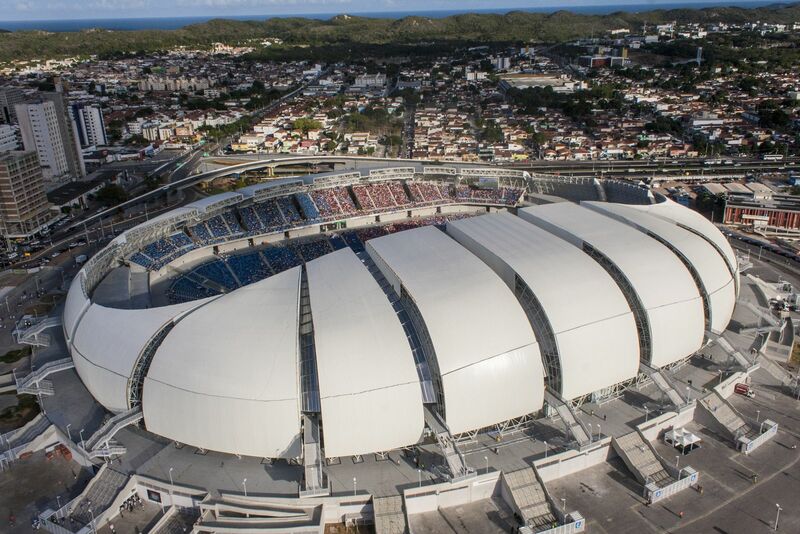 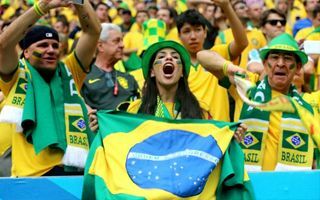 Along with over 2,600 parking spaces the stadium cost regional authorities R$ 423 million (€130m / $176m) and was expected to be delivered by December 31, 2013. 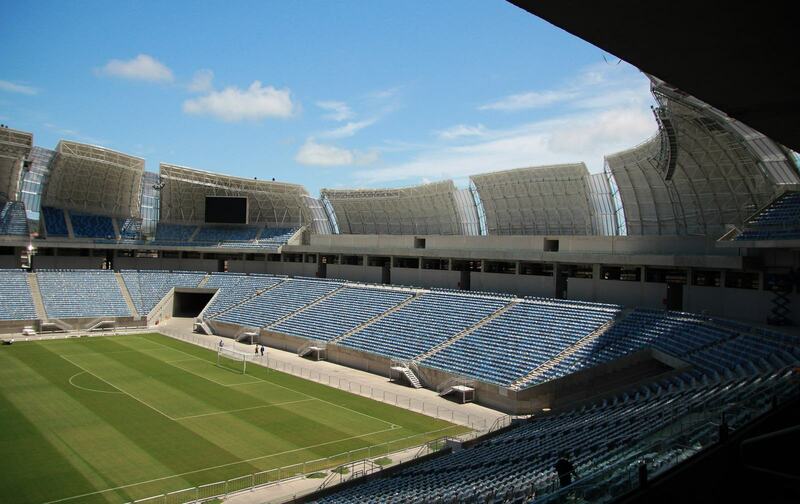 Eventually it saw a slight delay, but was operable and opened already in January 2014. 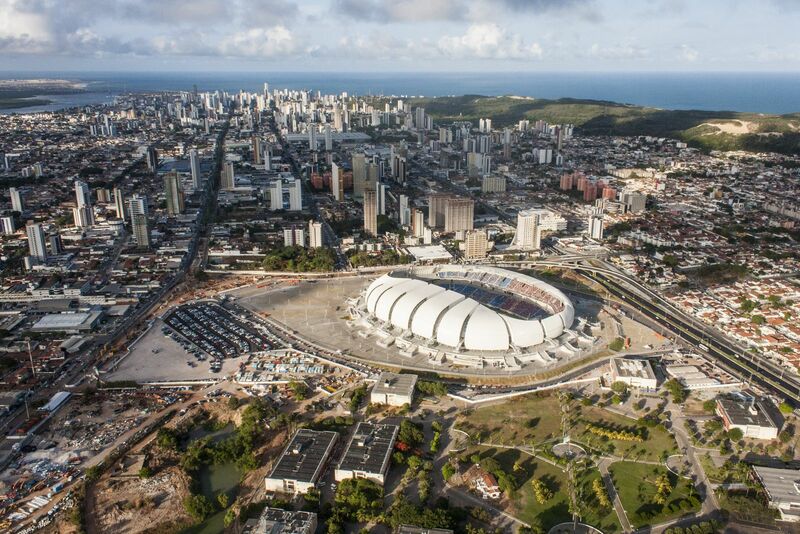 Two architecture graduates offered a very imaginative solution to two of Brazil’s problems. 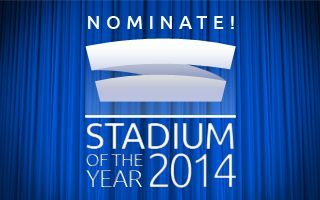 If there are empty stadiums and not enough homes, why not make stadiums home for people? 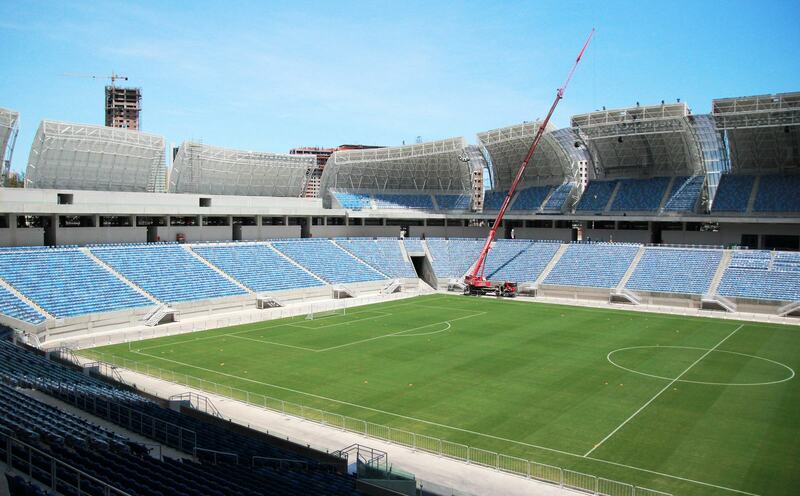 With just over two weeks remaining until the World Cup begins in Brazil, only one of two temporary stands is ready in Natal. 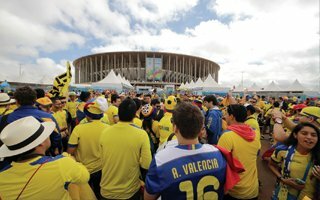 FIFA secretary general expressed his anxiety with what he saw yesterday.